"Being a trial attorney lets me help people who are otherwise powerless in the legal system." From 1995 to 1997, John chaired the board of the YMCA of Reading and Berks County. He later served for four years on the executive committee, including one year as president of the Berks County Bar Association in 2002. He was also a delegate from Berks County to the Pennsylvania Bar Association and also volunteers with the United Way of Berks County. John graduated from Denison University with honors in history in 1973 and from Temple University School of Law in 1976. 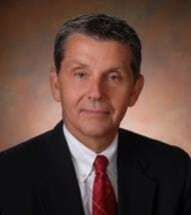 He has spoken at numerous seminars on various trial topics for the Berks County Bar Association, and is trained as a mediator and arbitrator through the Berks County Bar Association’s Alternative Dispute Resolution Program.